In the month of February, love is all around....!! Its the month of chocolates, cakes, cup cakes. 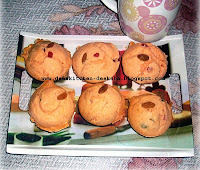 So I baked these muffins for my beloved....!! 1. 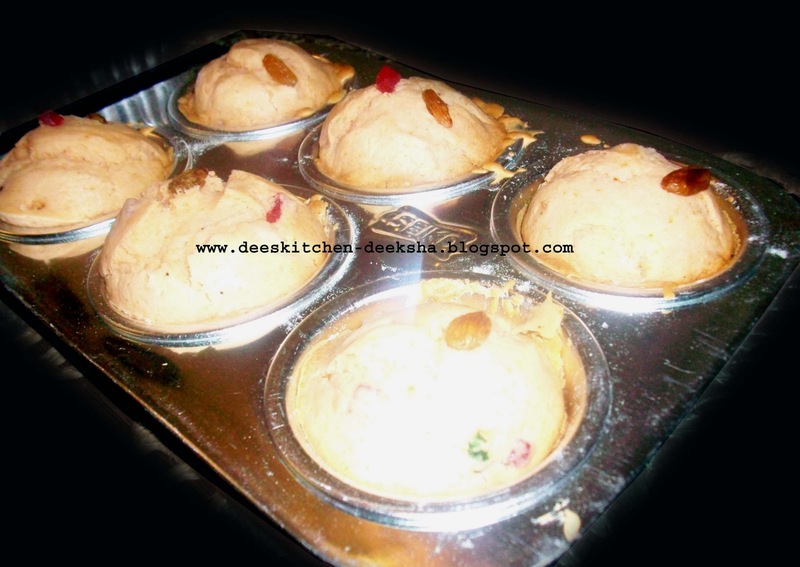 Sieve together refined flour, baking powder and soda bi-carb. 2. Mix butter and sugar powder; batter it to make light. 3. Add flour, milk, orange crush, 1 Tbsp cashew nuts, raisins, candies and mix properly for 2-3 min..
4. Fill half of the cake cup with paste. Sprinkle cashew nuts and raisin on it. 5. Bake it in pre-heat oven at 180. C for 15-20 min..
6. Cup cakes are ready. Muffin looks so yummy with orange flavour, perfect with a cup of coffee. 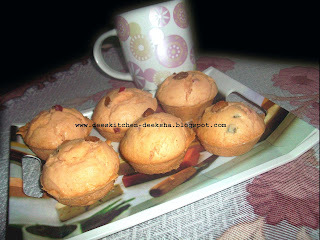 muffin looks very good and the orange flavour in it will tempt anyone for sure!!!!! Thanks for the entry. Muffins look adorable. wow...the muffins look so moist and floavourful.